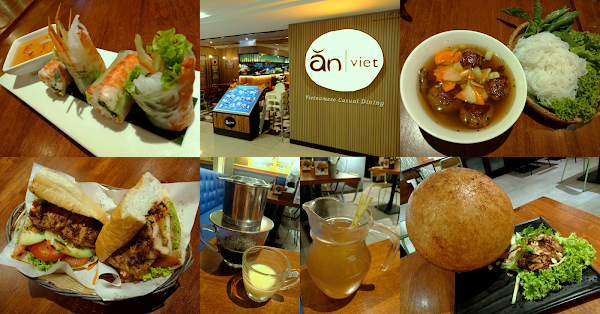 Special thanks to Ăn Viet for extending this food review invitation. After its debut at The Gardens Mall and another outlet in Sunway Pyramid, Ăn Viet opens its third restaurant at Gurney Plaza late last year. Ăn Viet is founded on the principle of minimizing food wastage. 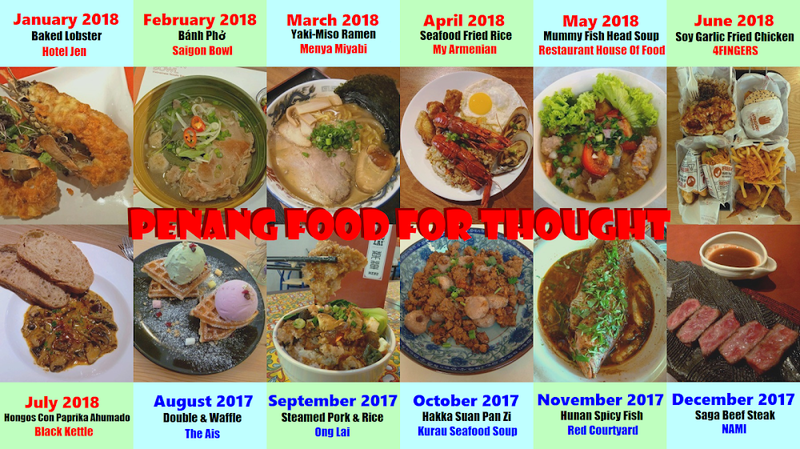 The proprietors feel that Vietnamese cooking is a good platform to pursue this goal. 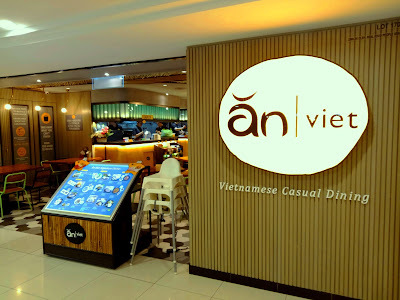 By the way, the phrase "Ăn Viet" means "to eat Vietnamese (food)". Ăn Viet presents a casual dining atmosphere, making it suitable for family-style dining. 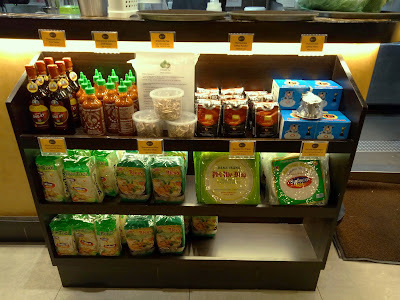 The food menu revolves around home-cooked Vietnamese recipes. 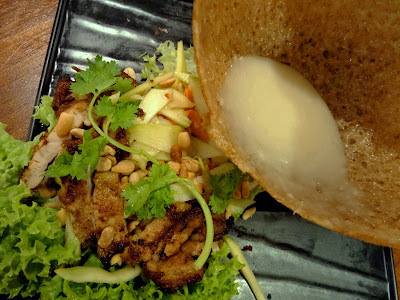 The dishes were inspired during a fact-finding mission to Vietnam before Ăn Viet's opening. Ăn Viet's menu leans towards northern Vietnamese cooking, but several southern recipes are also featured. Gỏi Cuốn (RM9.90) is one of the popular appetizers on the menu. 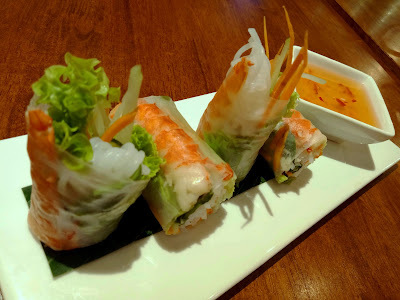 These Vietnamese spring rolls are filled with cooked tiger prawns, rice vermicelli (bún), carrots, cucumber, lettuce and Thai basil (húng quế). The ingredients are wrapped in chewy rice paper (bánh tráng), which unlike Chả Giò (fried spring rolls), is not cooked. I enjoy the soothing aroma of Thai basil. While the overall taste is mild, the spring rolls go well with sweet-and-tangy fish sauce called nước chấm. The sauce is not overpowering and only serves to accentuate the freshness of juicy vegetables. Bánh Tráng Nướng (RM9.90) is a specialty in Ho Chi Minh City. I would describe it as a cross between a pancake and a pizza. The skin is made from the same rice paper as Gỏi Cuốn, but the snack is grilled to a light crisp. 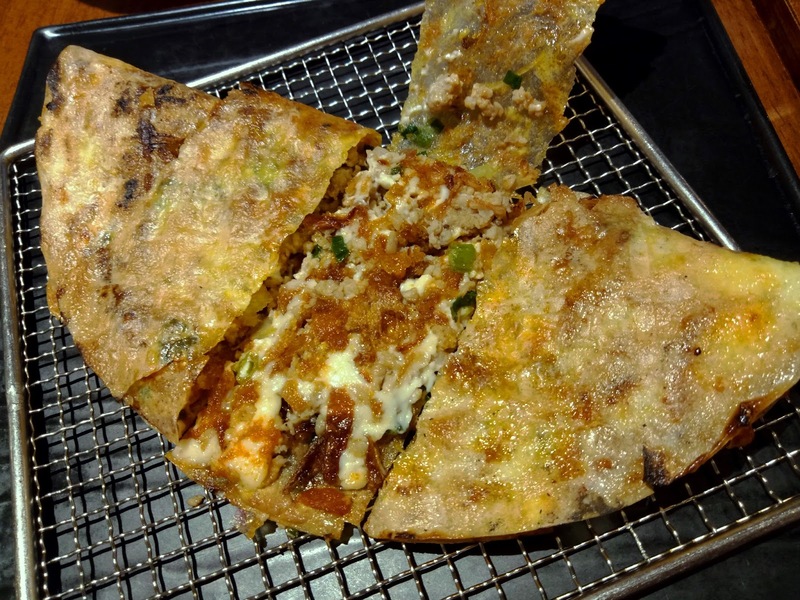 Inside the cracker are savory fillings such as minced pork, egg, mayonnaise and dried shrimps. Scallions, shallots and spices are also added for extra flavor. Try this dish if you are particularly fond of pork. Bún Chả (RM18.90) is a pork-and-noodle delicacy from Hanoi. It consists of a bowl of diluted nước chấm with pork meatballs, sliced pork belly and pickles. A separate rattan tray contains bún, Thai basil, mint and lettuce. At Ăn Viet, rice vermicelli is sourced from Vietnam because locally-produced ones do not make the cut. The proper way to enjoy Bún Chả is by first adding fresh vegetables to the sauce. Next, dip a mouthful of bún into the sauce, and then slurp the springy noodle into the mouth. I find the pork and meatballs to be truly gratifying. For RM4.00 more, the meal comes with an appetizer and a bowl of soup. 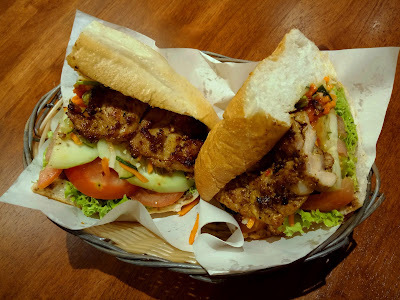 Bánh Mì (RM14.90) is another recommended dish on Ăn Viet's menu. The sandwich contains grilled pork chops (sườn nướng), tomato slices, sliced lettuce, sliced cucumber, shredded carrots and homemade pickles. The pork's tantalizing toastiness is what makes the sandwich so appealing. To enhance flavor, a dash of Sriracha sauce is added to the pork chops. Vietnamese bread is pretty similar to French baguette but the former is considerably airier. Bread is widely eaten in Vietnam as the country was historically under French colonial rule. Go for this dish if you seek a filling meal. In lieu of pork, diners can opt for grilled lemongrass chicken or vegetarian patty instead. Xôi Chiên Phồng (RM14.90) starts off from a small lump of glutinous rice. The lump is deep-fried in a wok for more than 10 minutes. Throughout the duration, the rice is continuously shaped with a spatula until it eventually puffs up to several times its original size. 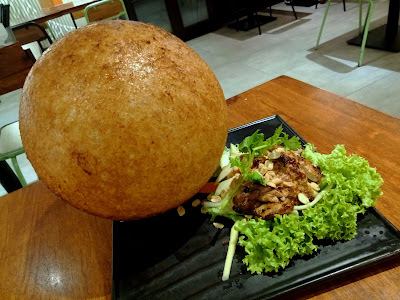 Although Xôi Chiên Phồng is as large as a child's head, it is actually hollow inside. It has a chewy texture as opposed to being crispy. Xôi Chiên Phồng comes with a serving of grilled lemongrass chicken and green mango salad. Also included are roasted peanuts, coriander and carrots. The salad resembles Tam Mamuang (ตำมะม่วง) in Thai cuisine but the former is not nearly as spicy. As Xôi Chiên Phồng takes lots of time to prepare, there is a limited quantity every day. Advance ordering is highly recommended. Moving on to drinks, Cà Phê Sữa Nóng (RM7.90) is Vietnam's most popular beverage. Unlike most coffee-growing countries, Vietnam primarily produces Robusta beans. The conventional way to brew Vietnamese coffee is by using a metal drip filter called cà phê phin. 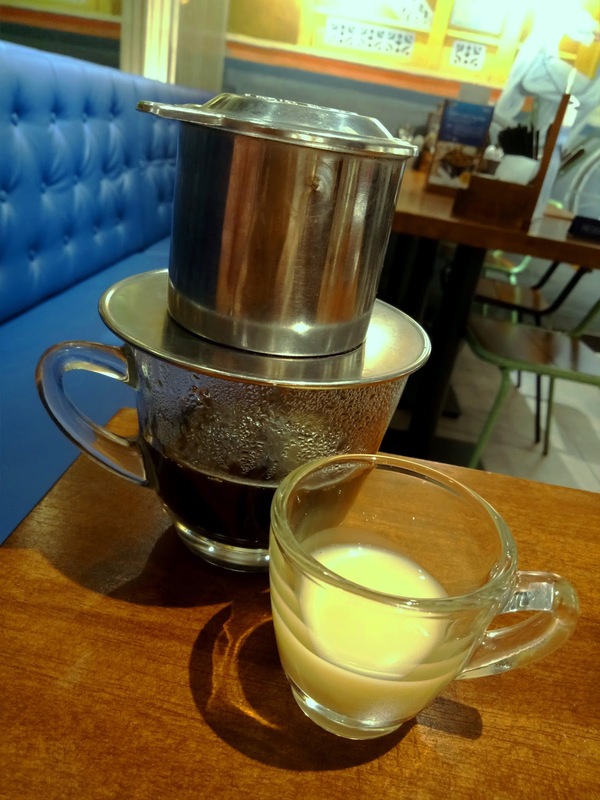 Ăn Viet provides condensed milk in a separate cup so that customers can control the coffee's level of sweetness. 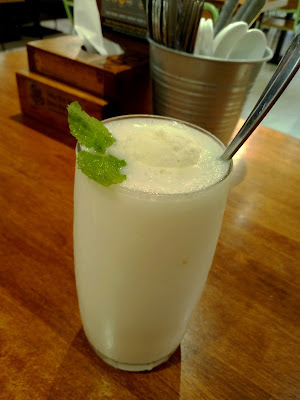 As for ice blended drinks, Sinh Tố Dừa (RM10.90) is made from coconut water, coconut flesh and coconut ice cream. The smoothie has a refreshing taste and serves as an excellent thirst quencher. In the effort to reduce waste, Ăn Viet only provides plastic straws upon request. 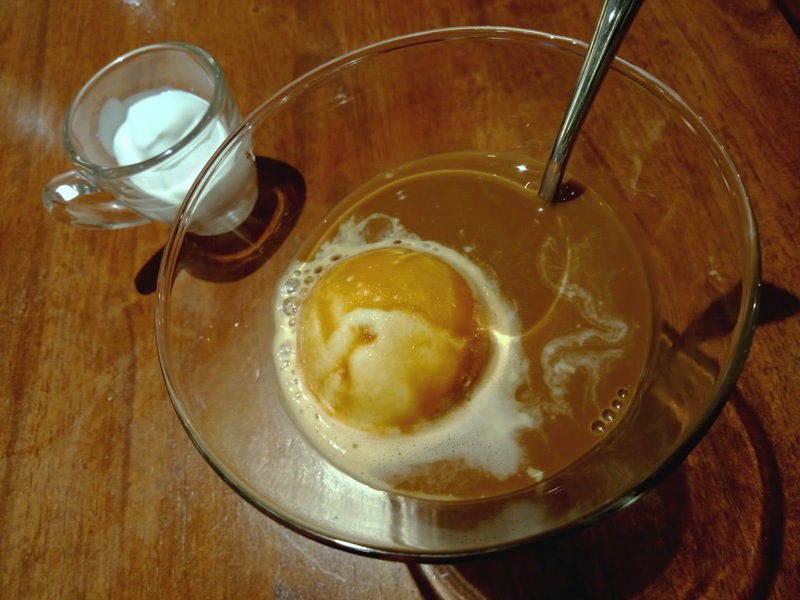 Viet-ffogato (RM9.90) differs from regular affogato in two ways. Firstly, Viet-ffogato uses Vietnamese drip-brewed coffee instead of espresso. Secondly, the ice cream is made from frozen condensed milk as opposed to the usual vanilla ice cream. Coconut cream is provided separately. 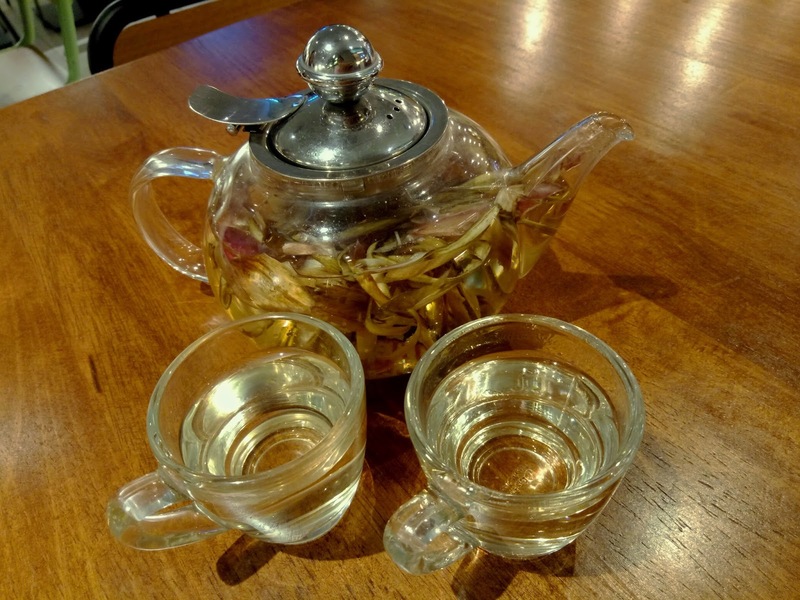 Trà Atisô Nóng (RM6.90 per cup, RM9.90 per pot) is Vietnamese artichoke tea. Dried artichoke is steeped in hot water for several minutes to impart its essence. 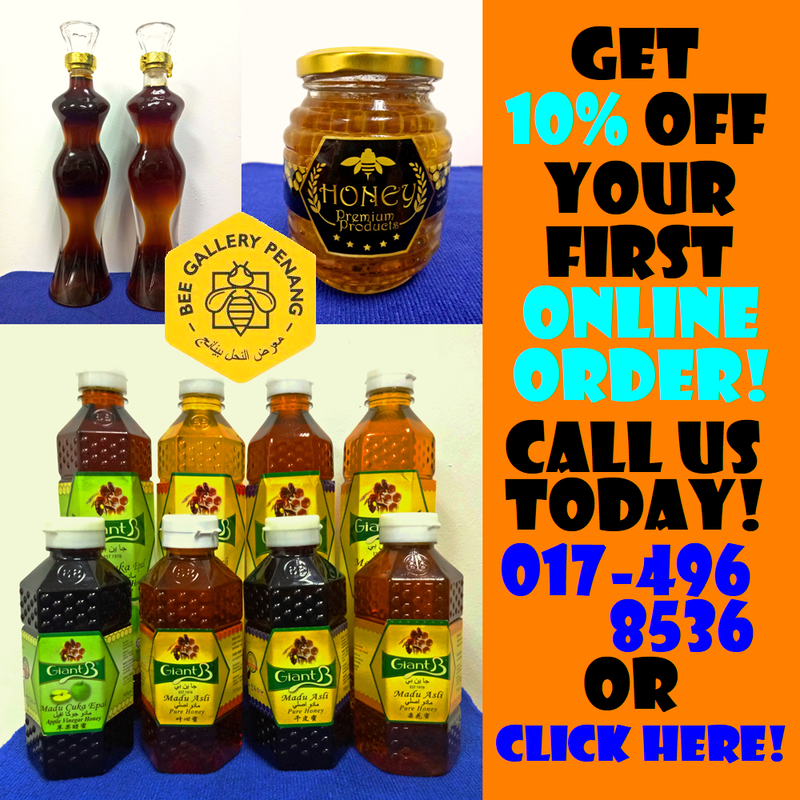 The herbal tea is very mild in taste but is soothing as the drink trickles down the throat. Drinking artichoke tea is believed to be good for health as the artichoke is one of the richest natural sources of antioxidants. 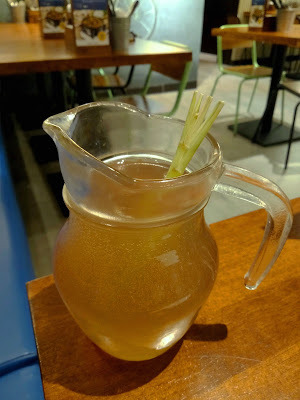 Xả Gừng Nóng (RM7.90 per glass, RM10.90 per jug) is another herbal drink at Ăn Viet. The tea is prepared from actual lemongrass and ginger, not from instant powder. The drink also includes a lemongrass stalk that serves as a stirrer. The overall food taste at Ăn Viet is satisfying to the palate. The restaurant does not cut corners when it comes to food preparation. Nearly every ingredient is prepared from scratch and food is only cooked to order. 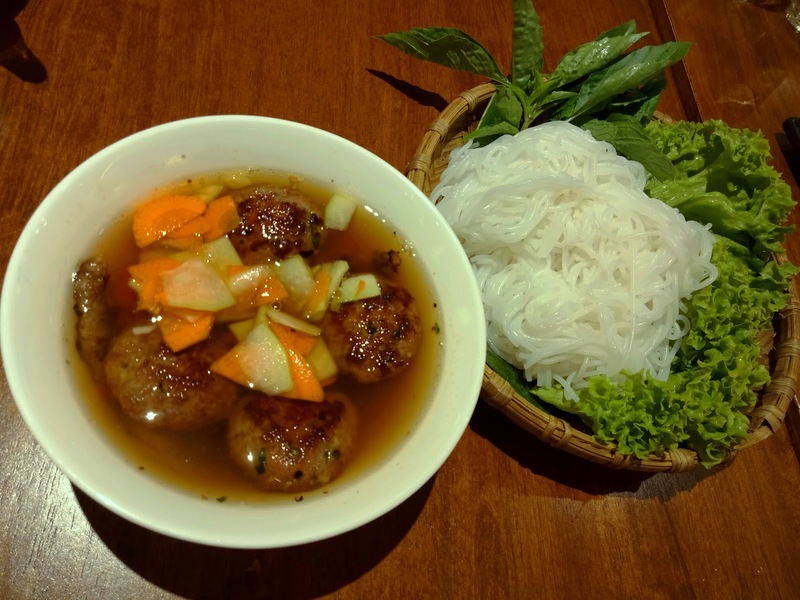 Ăn Viet does not use much garnishing for food presentation, but instead focuses on incorporating premium ingredients especially fresh vegetables. Ăn Viet encourages its customers to avoid food wastage. Customers are allowed to choose the amount of rice or noodle when placing their orders. Even in the event that the portion is insufficient, the restaurant is happy to top-up to the larger serving size at no extra cost. To further incentivize diners to finish their meals, Ăn Viet donates RM0.10 to the Food Aid Foundation for every customer who leaves no leftovers. 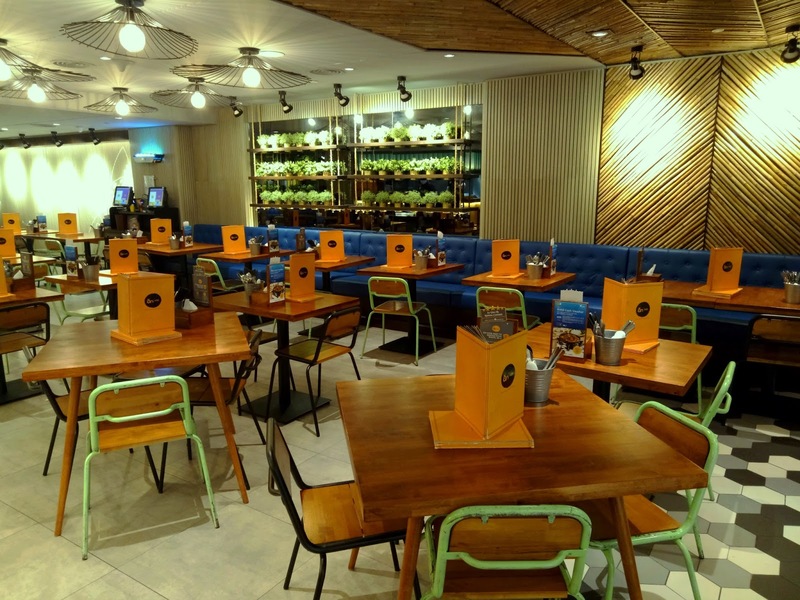 Directions: Ăn Viet is located at the Basement level of Gurney Plaza, sandwiched between Seoul Garden Hot Pot and The Little Nyonya Cuisine. Gurney Plaza has basement and multi-level parking garages.